I arrived in Tokyo four days ago. It is my first visit since 2007 and I am happy to state that I love the city as much as ever! Time is flying and I have already crossed off quite a few items on my rather long list of places and stores that I wanted to see. However, there is still so much to do! Tomorrow CosmeTokyo trade show begins and at the end of next week I am going to Gifu province for a couple of days and a few days after that I’m off to Taipei; so every day counts! Today I spent the day in Omotesando neighbourhood near Harajuku; one of the centers of Tokyo’s famously shrill teen culture. Besides visiting the Ota Memorial Museum of Art (wonderful ukiyo-e [traditional Japanese wood block prints], a visit is highly recommended! 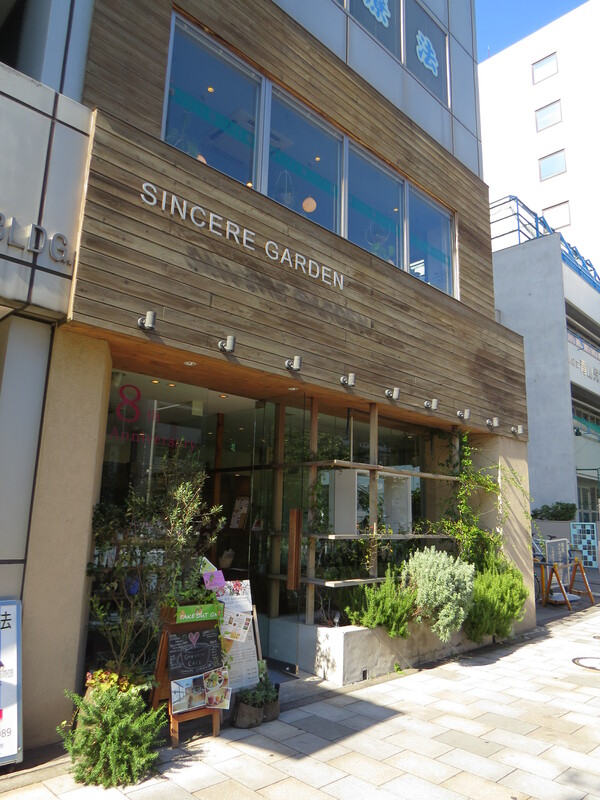 ), I wanted to check out Sincere Garden, a beauty salon which, according to Google/Google Translate, is one of the few Tokyo stockists of Japanese organic brand Quon.